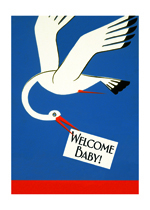 The welcoming of a new human being into the world is the grandest and happiest of occasions. 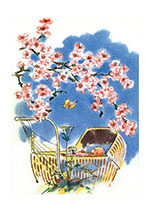 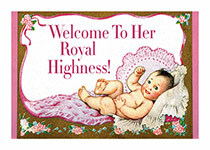 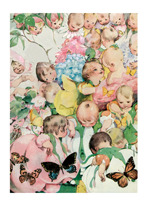 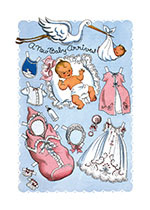 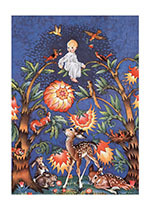 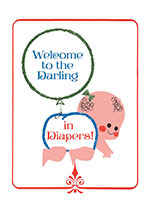 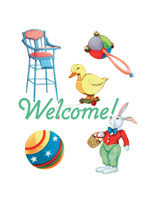 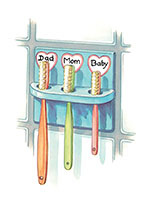 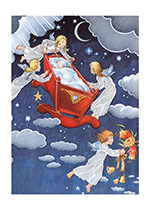 Our new child cards are whimsical, lighthearted, and reflect the joy of the moment. 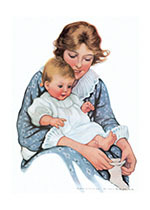 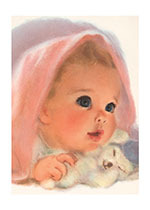 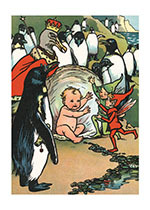 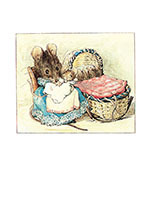 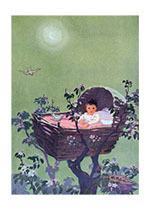 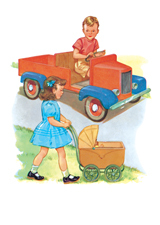 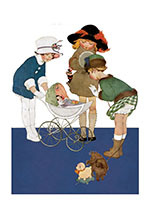 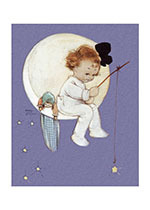 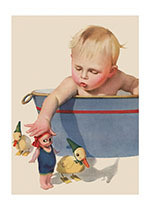 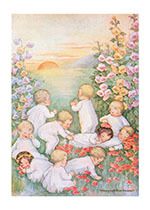 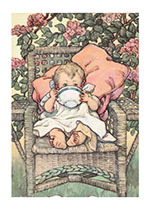 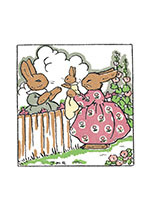 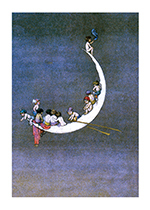 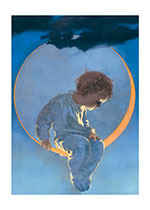 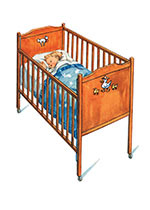 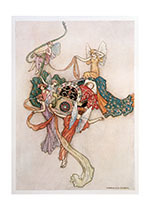 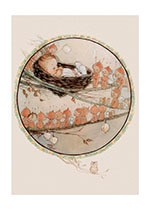 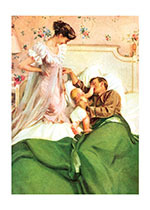 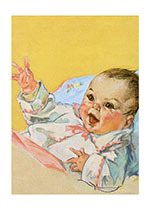 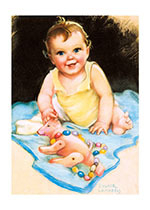 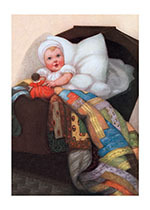 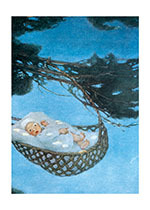 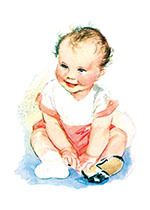 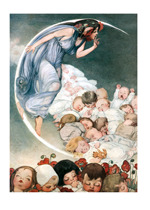 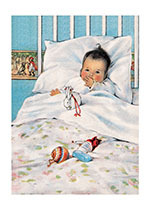 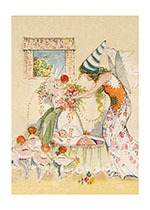 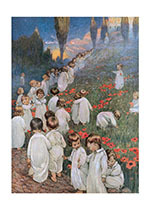 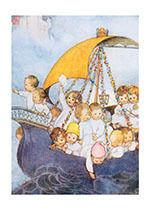 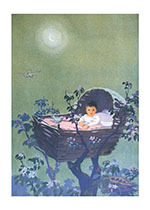 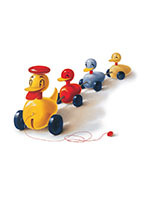 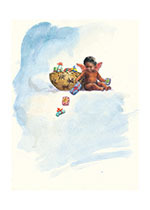 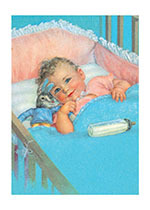 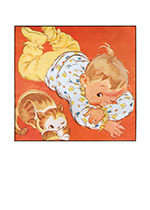 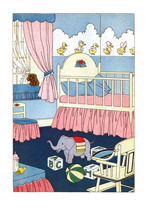 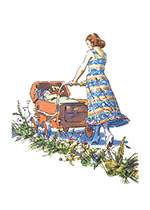 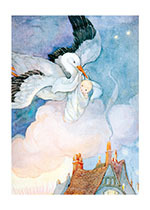 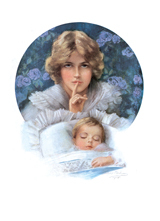 Their images, taken largely from vintage children's books and periodicals, are as sweet and sincere as a newborn.